The Petmate Indigo Dog House is the top of the line doghouse featuring an off set extended doorway for wind proofing and rain resistance. 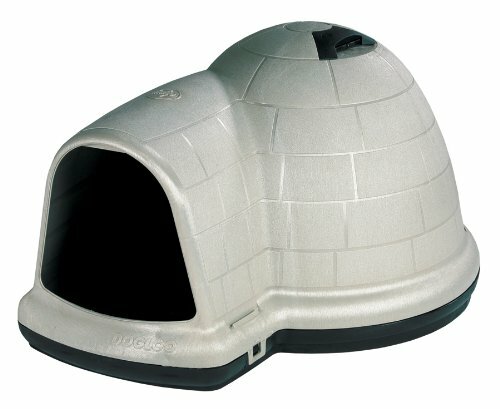 Made with structural foam that acts as insulation both to keep your pet cool in the summer and warm in the winter. Features a roof vent which helps with continual air flow. Indigo is made with Microban, which helps fight the growth of stain and odor causing bacteria, mold and mildew. Easy to install, no tools required. For use with large sized pets.